Reviewing the alphabet and teaching letter sounds can get tedious if you are always doing it the same way. I am always trying to come up with new ways to keep learning fun, active and relevant for my preschooler. 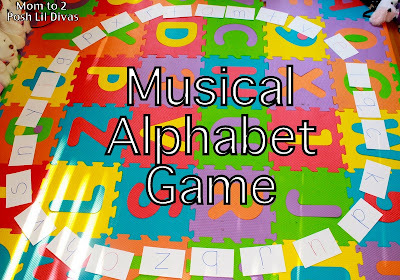 My daughter enjoys games and she loves to sing and dance so I knew she would have a great time playing MUSICAL ALPHABET (similar to Musical Chairs) and it would be a fun way to practice letter recognition and test her phonological awareness of the corresponding letter sounds. 1. 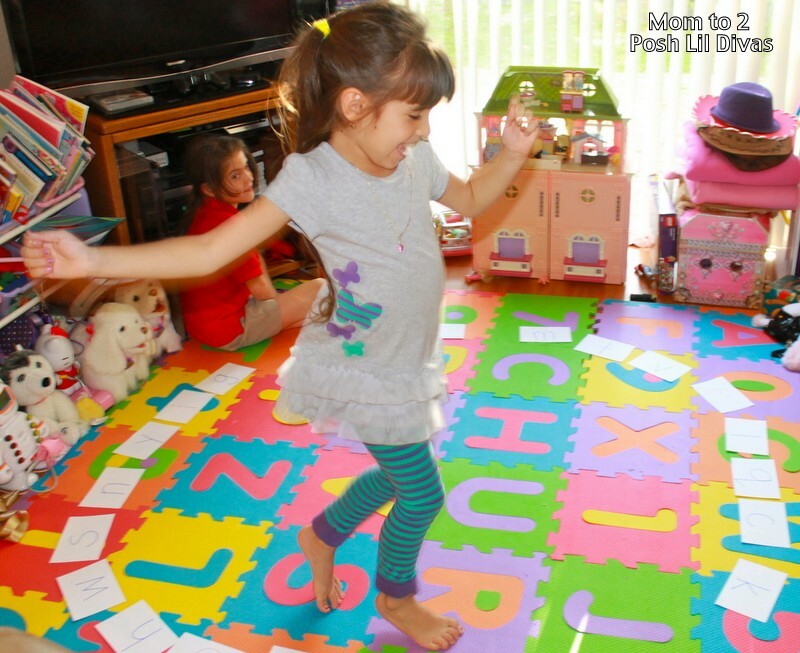 Write the letters of the alphabet on large index cards, card stock or construction paper. 2. Arrange them in a large circle on the floor, in mixed up order. 3. Turn on some music and have child dance around the circle. 4. When the music stops, child must stop. Child must identify the letter they stopped near, provide the sound it makes and share at least one word that begins with that sound. 5. Continue until all letters and sounds have been reviewed. I even got the Oldest Diva involved in the game. She was in charge of the music and she also monitored the Littlest Diva's responses. She enjoyed being in a position of authority. The Littlest Diva had a blast dancing around and playing. This can easily be played in small groups & adapted to a school setting. Have fun practicing the alphabet! That's brilliant! It's a bonus to get more than one child involved:) I'll be adding this to my list of alphabet games and planning on using an alphabet song to go with it:) Thanks for the inspiration! I agree with Deborah, it really is brilliant! What a great game! such a fun and simple game, Brilliant. I have a song we sing for this game. "We're marching around the alphabet, around the alphabet. We're passing letters from ABC all the way to XYZ. We're marching around the alphabet, around the alphabet. Where we stop, nobody knows until the whistle blows. WOOOOO!" Then they stop and identify the letter, sound, word that begins with, a fruit that begins with it, etc. I can't remember where I got this song, maybe a CD from years ago? Anyone else know it? That's a Hap Palmer song called "Marching Around the Alphabet"
Learning alphabet through music is definitely something kids would love. I personally taught my kids through some app i found on playstore. Then I hired some one and made and put it on spotify music and people are loving it for sure.